This latest ruling will not be the court’s last word on the subject and Congress and state legislatures are expected to continue to address the subject more fully as privacy concerns are expressed more often in the headlines and in the court rooms. In a much-earlier ruling — Katz v. United States (1967) — it was explained that “the Fourth Amendment protects people, not places,” so “[w]hat a person knowingly exposes to the public, even in his own home or office, is not a subject of Fourth Amendment protection.” One example of this is a car’s exterior, which “is thrust into the public eye, and thus to examine it does not constitute a ‘search.’ ” Court rulings involving this example have permitted warrantless search of an automobile’s exterior. In the Katz example, 389 U.S. 347 (1967), a United States Supreme Court case discussed the nature of the "right to privacy" and the legal definition of a "search". The Court’s ruling refined previous interpretations of the unreasonable search and seizure clause of the Fourth Amendment to count immaterial intrusion with technology as a search, overruling Olmstead v. United States and Goldman v. United States. Katz also extended Fourth Amendment protection to all areas where a person has a "reasonable expectation of privacy". In Katz’ illegal gambling conviction case, he argued successfully that Fourth Amendment protection should be extended to all areas where a person has a “reasonable expectation of privacy”, in this particular case it referred to electronic eavesdropping and privacy within a phone booth. With GPS-based data now everywhere, from smartphones, automobiles and a variety of other computers, tablets and connected devices, the courts have had to look at privacy in a whole new way in recent years. Analogizing computers to other physical objects when applying Fourth Amendment law is not an exact fit because computers hold so much personal and sensitive information touching on many private aspects of life … There is a far greater potential for the “inter-mingling” of documents and a consequent invasion of privacy when police execute a search for evidence on a computer. 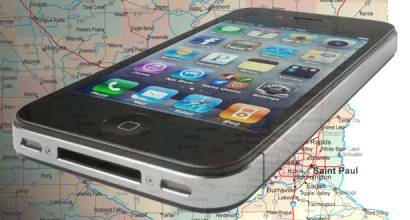 Several recent court cases have had to address privacy issues involving cell phones, GPS devices on automobiles and other devices that until recent years were not an issue. In the Worsham case, Florida challenged an order granting appellee Charles Worsham’s motion to suppress, but the Florida Fourth District Court of Appeal ruled in Worsham’s favor because the GPS data had been searched prior to a warrant. Without a warrant, the police downloaded data from the “event data recorder” located in Worsham’s impounded vehicle. The court concluding there is a reasonable expectation of privacy in the information retained by an event data recorder and downloading that information without a warrant from an impounded car in the “absence of exigent circumstances violated the Fourth Amendment”. Worsham was the driver of a vehicle involved in a high speed accident that killed his passenger. The vehicle was impounded and 12 days after the crash law enforcement downloaded the information retained on the vehicle’s event data recorder. The police, however, did not apply for a warrant until October 22, 2013, four days later. The warrant application was denied because the desired search had already occurred. An event data recorder is a device installed in a vehicle to record “crash data” or technical vehicle and occupant information for a period of time before, during, and after a crash, court documents state. Approximately 96% of cars manufactured since 2013 are equipped with event data recorders. Most of these devices are programmed either to activate during an event or record information in a continuous loop, writing over data again and again until the vehicle is in a collision. The National Highway Traffic Safety Administration has standardized the minimum requirements for electronic data recorders, mandating that the devices record 15 specific data inputs, including braking, stability control engagement, ignition cycle, engine rpm, steering, and the severity and duration of a crash. The ruling in this case reflects that the black box in Worsham’s vehicle recorded speed and braking data, the car’s change in velocity, steering input, yaw rate, angular rate, safety belt status, system voltage, and airbag warning lamp information. In other privacy news, Inside GNSS reported last month that U.S. Congress is prepared to strike a blow to a new rule aimed at protecting the personal information — including the geolocation — of broadband internet users. The move, one of a number aimed at eliminating Obama-era regulations, would slice through months of debate, and federal regulators’ own backpedaling, to kill the pro-privacy rule in a way that makes resurrecting it extremely difficult. Then there was the case of the terrorist attack in London in March. The Wall Street Journal reported the attacker made a test run, as security officials said after the tracking of Khalid Masood’s car GPS showed he drove across Westminster Bridge and approached Parliament only days before attack. Investigators have concluded that the 52-year-old man who killed four people in a car-and-knife attack near Parliament made a test run earlier. Two security officials said tracking of his car’s GPS showed he drove across Westminster Bridge and approached Parliament on Saturday, March 18. The following Wednesday he plowed into pedestrians on the crowded bridge before crashing his car outside Parliament and stabbing a policeman, according to the report. He was shot dead by police. It appears evident that today’s technology and GPS tracking capabilities will continuously evolve and deliver increasing amounts of information and data. That said, the courts will have their hands full while determining what information can and should be used by law enforcement and just exactly what all will be protected by laws in terms of privacy.